Whether you’re fascinated by history and ancient cities and ruins or are keen to explore some of Greece’s natural wonders, there are beautiful homes in Greece it’s well worth continuing reading to discover 9 of the top sites in Greece. All of which are well worth visiting during your next trip to Greece. The Acropolis, which is located in Athens, is one of the most visited sites in Greece and is an ancient citadel which is perched on a rocky perch which overlooks Athens. The Acropolis is home to the Parthenon, which is a temple which was originally built to honor the Greek goddess, Athena. 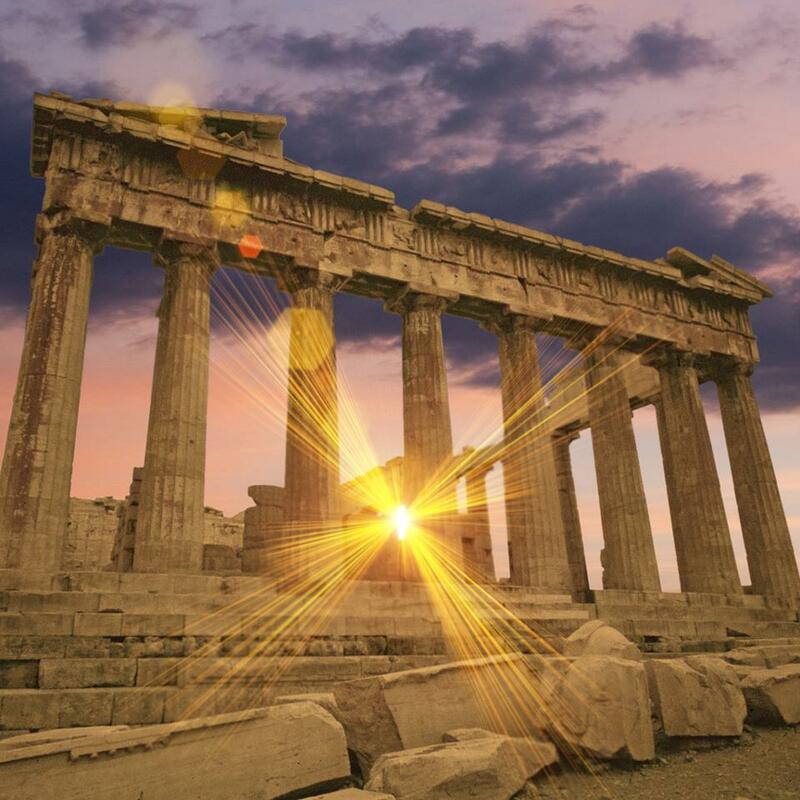 Construction of the Parthenon began in 447 BC, which is mind-blowing as much of the building is still standing today. 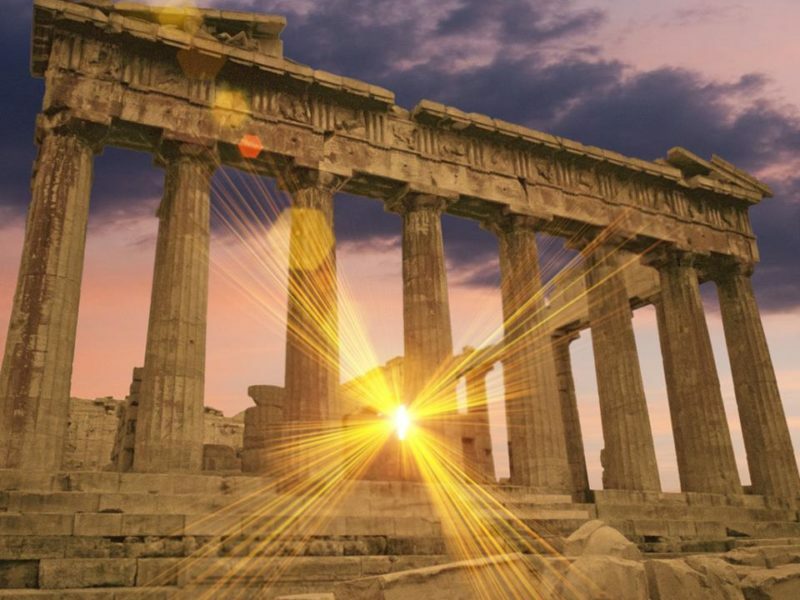 If you have any interest in history and classical architecture it would be a shame to visit Greece, without making a trip to the Acropolis and seeing the Parthenon for yourself. The Odeon of Herodes Atticus is a stone amphitheater which was built in 161 AD and which is located within a stone’s throw of Athen’s Acropolis. Since it was renovated in 1950, the Odeon of Herodes Atticus regularly hosts festivals and concerts, so if you’re looking to enjoy a unique experience it’s well worth planning your Greek trip to coincide with a concert at the Odeon of Herodes Atticus. The Temple of Olympian Zeus has an interesting history. While construction of the temple begun in the 6th century, work on the temple wasn’t completed until 131 AD, 700 years later. When constructed on the temple was finally completed, the emperor at the time Hadrian, commissioned two massive gold statues to be placed inside the temple, one of the Greek god Zeus and one of himself. While the temple originally boasted 104 Corinthian style columns, only 15 of the temple’s columns are still standing today. The Temple of Apollo is an archeological site which is located on the slopes of Mount Parnassus in Delphi. In ancient Greece, Delphi was thought to be the center of the world and was visited by tourists who sought to ask advice from the oracle of Delphi. Who was a revered priestess who could give clients advice on issues such as love, farming, and politics. If you’re a sports nut, it’s well worth visiting Olympia which is the site where the original Olympic games were held. Olympia was established in the 8th century BC and if you visit Olympia you’ll be able to tour the complex’s ruins, which include various training areas, a stadium and temples which were built to honor Zeus and Hera. Whilst exploring Olympia it’s also well worth visiting the Archeological Museum of Olympia which features archeological treasures which were unearthed in Olympia. An example of which is a statue of the Greek god Hermes which was thought to be sculpted by Praxiteles. Meteroa is a sight to behold and is known for its six eastern orthodox monasteries which are perched high up on precarious cliff faces, which stand around 1,200 feet tall. Which makes sense as the Greek word Meteora translates to suspended in the air. The six eastern orthodox monasteries which are located in Meteora were built between the 14th and 16th centuries and were built by Orthodox monks in order to live in complete isolation. Examples of some of the monasteries which you may want to explore include the Monastery of the Holy Trinity and the Monastery of Great Meteoron. The latter of which is the largest of the six monasteries in Meteora and is home to a museum, which houses exhibits which will teach you about the fascinating history of Meteora and it’s monasteries. Perissa Beach is a picture-perfect black sand beach which is located on the idyllic Greek island of Santorini. So if you love the idea of sunbathing on a deck chair underneath an umbrella on a Greek island, after touring Greece’s ancient sites, it’s well worth including Perissa Beach on your Greek travel itinerary. Better yet, Perissa Beach, also boasts numerous bars, cafes, and restaurants. All of which offer stunning sea views. The Samaria Gorge can be found on the beautiful island of Crete and is roughly 16km in length, although it is only four meters wide at its narrowest point. The natural wonder runs from Omalos, which is located high up in the White Mountains to the Libyan Sea and takes most hikers between 5-7 hours to complete. So if you want to get off the beaten path and explore Greece’s mountains, on your Greek odyssey it’s well worth hiking the stunning Samaria Gorge! If you visit Greece in Summer, you’re in luck as guided tours of the Samaria Gorge depart from both Chania and Rethymnon on a daily basis. Rhodes Town is located next to the Aegean Sea and is a historic fortified town which features numerous watchtowers and gates which were built by the Knights of St John, you took control of the island of Rhodes in the 14th century. Should you visit Rhodes Town which is also known as the old town, you’ll be able to wander down the streets at your leisure as Rhodes Town features numerous car-free cobblestone streets. Which offer boutique stores as well as cafes and restaurants. The Arch of Adrian which is more commonly known as Hadrian’s Arch was built in 131 AD and was thought to be built to celebrate the arrival of the Emperor Hadrian in Athens. As the Arch of Adrian is located a mere 325 meters from the Acropolis, it’s well worth visiting either before or after you tour the Acropolis and the Parthenon. So if you’ve always dreamed of visiting Greece and exploring its historical sites and natural wonders, it’s definitely well worth visiting several of the 9 top tourist sites listed above. All of which are guaranteed to leave you in awe.